Brushing your teeth can finally be fun and enjoyable! Searching the Internet for the best toothpaste dispenser? Look no more! Automatic toothpaste squeezer always provides you with a wanted amount of toothpaste with a vacuum pump technology making it a smart and economical buy. 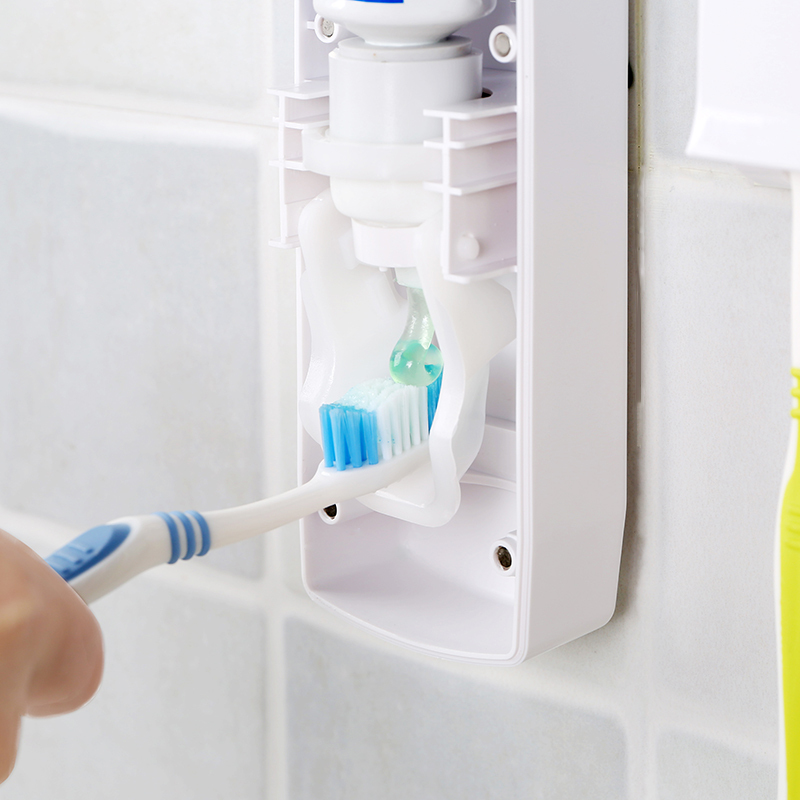 Not only is it hands-free, but one-touch toothbrush holder wall dispenser is also easy to use and will keep you organized. Toothbrush holder can hold up to 3 brushes, keeping the toothbrush easy to access and clean. Toothpaste Dispenser is super easy to install with a strong sticky pad on the back which ensures a firm grip to your bathroom wall.